Despite spending half of my life in the Philippines, I have found myself being culture shocked by the hierarchy system in all parts of the Filipino society. From government to organisations, leaders or bosses must be obeyed or informed of any actions that the employees are doing. This is one of the reasons why it took a while for them to give us clearance to conduct our GFF projects. Nevertheless, the school children’s obedience during our School Projects reminded me of how being polite and well-mannered was taught in Philippine schools and that I should carry this with me wherever I may be. People here are so polite that they never fail to address someone as ‘Ma’am’ or ‘Sir’. Formal language is used with one word ‘po’ to anyone older than yourself. They will excuse themselves when they walk passed two people having a conversation. These are just some simple things that reminded me of what it takes to be a Filipino. 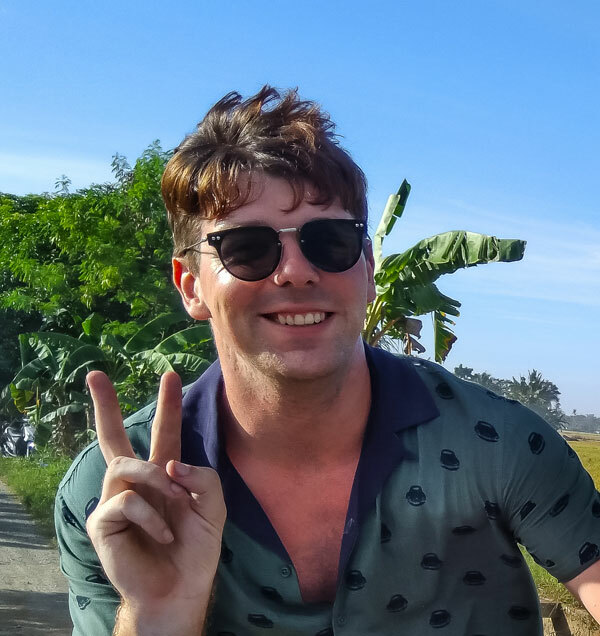 This experience has given me the opportunity to connect with communities in rural areas and allowed me to learn more about my own culture. Though I have been exposed to disadvantaged areas in the Philippines when I was young, this was the first time I have been able to understand the difficulty of living situations in some areas. Most families we have met and encountered do not have a consistent source of income that they can rely on. Some have alcoholic problems within their households and some are going through issues that have been a result of broken marriages. Despite this, they still manage to smile and try to cope each day, living their lives with what they have. Another thing I have noticed in these communities is that even though life has been financially challenging, they seem to more content. They are even happy with just a simple visit in their houses. There’s also been instances where beneficiaries offer us something to eat despite not having much themselves. Those things reminded me that I should be content and grateful not for the materialistic things but rather the people whom I value and values me. I learnt to appreciate that on the whole people are generally good and want to do what they can to help others. Almost every person I met during our stay was incredibly welcoming and couldn’t do enough to help us be comfortable in their country. Whenever I did something to help someone such as running a football training session, they couldn’t be more appreciative of me giving up my time. It can be easy to forget that most people are good people that want to make the best of themselves and others around them, no matter what their background may be. My personal highlight was doing morning football coaching in Chibbo village. Many of the people that I coached had never had the opportunity to receive formal coaching in the past, despite being incredibly passionate about the sport. So, it was incredibly rewarding to provide this for them and see their smiles as they arrived for the sessions each day. Football is something I am very passionate about, so it was fantastic to share something that I love with people in a totally different part of the world. It was also awesome to see the group grow from only two people for my first session to over thirty by the time that I left, making me feel as though it was doing a good job and adding something beneficial to the community. One of the things that working with the beneficiaries of Bal Suraksha Abhiyan Trust taught me was that children have more resilience than most people believe or give them credit for and can endure a number of horrific hardships and still maintain a smile and pure enjoyment. They can make many decisions on their own about their wellbeing and we should listen to what they have to say. They deserve the ability to make decisions about their own lives and we can provide good guidance, support and positive learning environments for them. 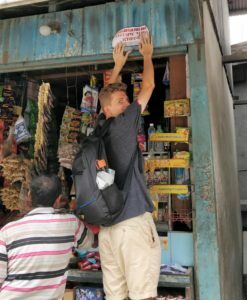 From my experience in Kavre, Nepal, I learnt the value of community support for individuals and how critical it is. Working in these communities it is clear to see that without the network and social support of their neighbours and family, individuals would suffer a great deal more. From the perspective of working in these environments, it is integral to have community support for projects, not just individual interest, and to be able to see the needs of the community as a whole. The relationship is often reciprocal – what benefits and empowers an individual will benefit the community and vice versa, and knowing and working with that in mind you can create a greater difference. This has also given me cause to reflect on my sense of community in New Zealand, and how I can foster change and growth in the people and community around me. 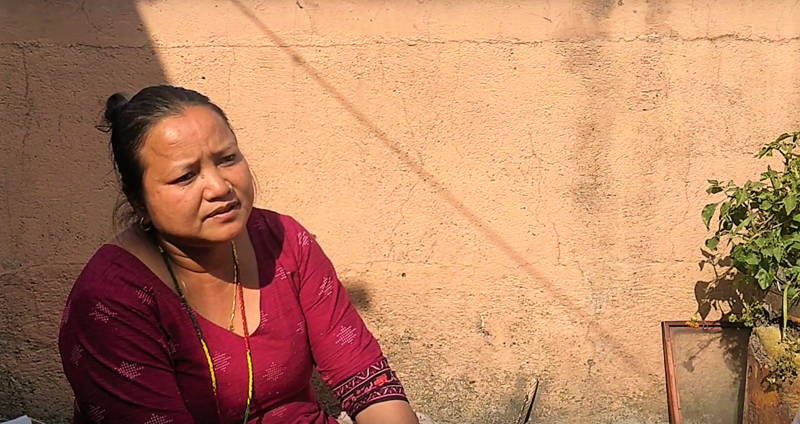 At the age of just 9, Maiti was travelling to Kathmandu with a group of older friends . She had run away from home to find work in the carpet factories. The work was unpaid, the only guarantee she had was of food and a bed at the factory, but she was happy, for the food and for her independence. Equipped with the valuable experience and feedback from our first GFF Representatives and the important lessons learned, we enter 2019 ready to scale up our operations and deepen our work. July 2018 marked the deployment of our first group of “GFF Representatives” of the GFF HELPS programme. We received applications from over 50 candidates and selected 8 – the majority from the University of Auckland, where our Founder has strong ties and a long history as a major donor. These 8 Representatives attended an in-person or online briefing before being deployed in pairs to rural communities in need, which were to be their homes for the next six months. They showed tremendous courage, maturity and cultural sensitivity, forming good relationships with local stakeholders and initiating projects ranging from Digital Learning and Mobile Libraries, to Solar, Football Coaching, Recycling and Hygiene workshops. We learned a great deal about the rural contexts we were in and their unique challenges and strengths. We also learned the importance of clear expectations between ourselves and our partners, which will help to strengthen our work going forward. 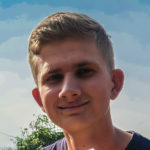 These are the highlights from two of our GFF Representatives who have recently returned home, Sophie and Joe, followed by more detail about what we did in each location. 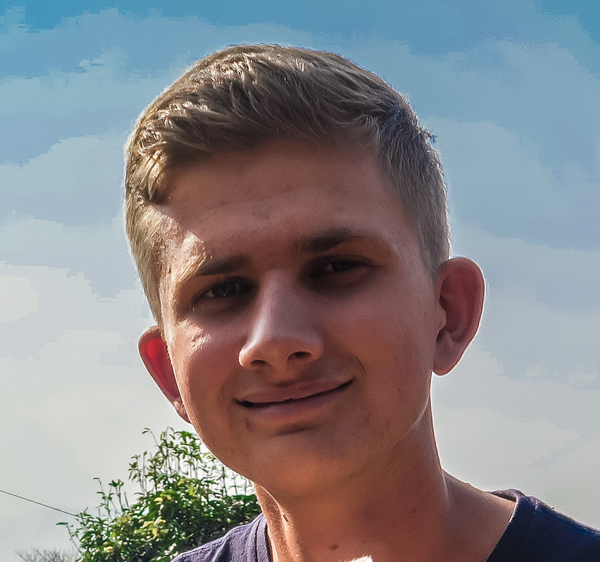 “Spending the night in Kavre Village was the highlight of my experience in Nepal, it was amazing to see how the village operates and the community works. The way in which the people live and to hear their stories and share a meal with them. It is always a humbling experience to sit among people who have the bare minimum of necessities, who can smile and laugh with you and are willing to share what little they have with you. It was also enlightening for me to hear the big difference a small amount of learning can make to one persons life. Basic literacy is something that can be taken for granted when you live in countries like New Zealand, but the things you are limited in doing by being unable to recognise numbers or count are innumerable and take your independence away. Yet through all of their struggles, all of the difficulties, these women smile and laugh.” – Sophie Jones-Williams, GFF Representative 2018, India and Nepal. “I learnt to appreciate that on the whole people are generally good and want to do what they can to help others. Almost every person I met during our stay was incredibly welcoming and couldn’t do enough to help us be comfortable in their country. Whenever I did something to help someone such as running a football training session, they couldn’t be more appreciative to me for giving up my time to help them. 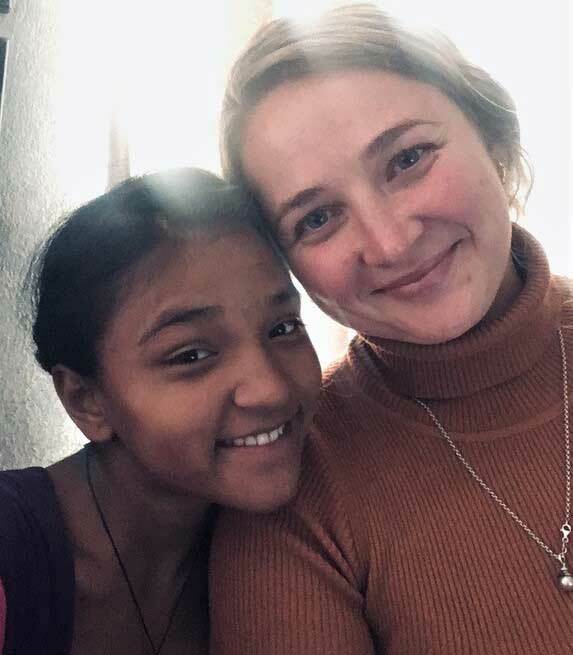 It can be easy to forget that most people are good people that want to make the best of themselves and others around them, no matter what their background may be.” – Joe Fisher – GFF Representative 2018, India and Nepal. We worked alongside a local project, the Yolanda Aklan Reconstruction Programme, who facilitated our introduction to local schools and community leaders. We visited local schools and developed good relationships with the teachers, principals and department heads and put forward our ideas for the schools. 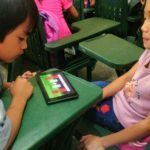 We ran a pilot of our Digital Learning project, where we use inexpensive tablets as learning aids to supplement schools with few resources. We learned some valuable lessons for how to adapt this project in different contexts. We piloted our Village Solar Project; developing a model for providing solar panels in areas difficult to access. These households do not have access to the grid and rely on harmful kerosene for lighting, which causes fires and respiratory illnesses. Our GFF Representatives ran Reading Workshops in four schools and started a Mobile Library to enhance language development. In Vietnam we ventured North to identify a suitable rural community to work with and found a severe lack of sanitation infrastructure. We built 10 toilets and two washrooms for a new school that will service 500 children from the surrounding villages. In the South we partnered with a local NGO and sponsored 10 children through their schooling. We also identified a rural community and are building our connections there for future work. In India we partnered with one of our grant recipients, the Bal Suraksha Abhiyan Trust, and worked alongside them in their child labour programmes and started a football coaching course which continues to flourish in our absence. We faced some visa challenges and so decided to move our Representatives to Nepal, where we had identified a very promising women’s education and empowerment programme, run by a local NGO, Child Development Society. We visited their women’s groups and found good opportunities for partnership. You can read Sophie’s research report and see Joe’s documentary about this work here. We also introduced recycling to a local school and ran a football club. This first round of our HELPS programme was illuminating; we were able to test out our internal processes and a lot of project ideas to see which gained traction. This has strengthened our programme plans and operations, enabling us to enter the field in 2019 stronger, more focused on our objectives and able to deliver larger impact. We are under no illusion that there is still a lot of learning to do, and we are looking forward to 2019 and seeing how this programme develops. 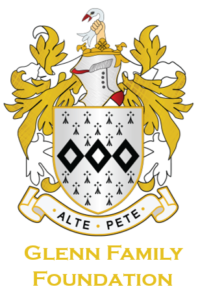 The Glenn Family Foundation has a long history in Macau, building infrastructure for hospitals and facilities for the mentally disabled. This year the GFF HELPS programme is expanding to Hainan. GFF Representative Violet Ge returns from New Zealand where she studied, to Hainan where she grew up, to build connections for GFF HELPS and identify potential projects. Read about Violet’s first HELPS activity. GFF HELPS projects span two locations in Vietnam; Ho Chi Minh City and the small rural community of Dien Bien in the north. GFF Representative Thanh Vu grew up in Vietnam and studied in Sydney. She returned for the opportunity to give back to her community. We have partnered with E-Share, a local NGO that offers sponsorships to children who cannot afford to go to school. GFF HELPS has started its own scholarship, this year supporting 10 children with school fees, uniforms, stationery and books. Thanh is also developing a Positive Parenting course in consultation with E-Share and other local experts to encourage critical thinking and helping children play a more active role in their own learning. Meanwhile in Dien Bien, engineer Helen Nguyen has identified the need for sanitation infrastructure in a rural school. The school and surrounding households do not have access to toilets and Helen has done a lot of research and worked with local builders to build 10 toilets and two washrooms to service 500 children and the nearby households. She is also testing out how the children respond to technology and online apps to supplement their learning. We look forward to hearing what they discovered and expanding our work. 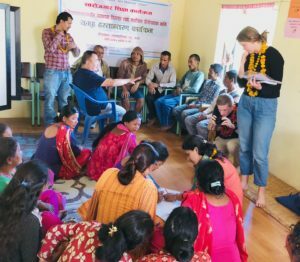 GFF HELPS first entered Nepal in 2018 through our pioneer Representatives Sophie Jones-Williams and Joe Fisher. We had the pleasure of meeting community members and learning about the issues they face through a local NGO, Childhood Development Society (CDS), who run a range of educational programmes for youth and adults. One particular project that we were interested in was their Self Education and Empowerment Programme (SEEP) – a women’s training and microfinance initiative that had shown great success. Sophie had already visited several similar groups in India and was eager to learn how they had achieved such success. Sophie and Joe spent three months with CDS and visited a few of their groups. Joe’s documentary and Sophie’s research reports are below. 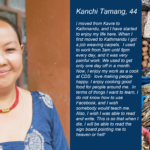 It is incredible to see the potential that is unlocked when an illiterate adult is given the opportunity to be empowered by basic literacy and business skills training. We commend CDS for their incredible work and thank them for sharing their knowledge with us. 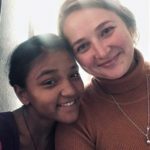 In 2019, our GFF Representatives Sulochana Thapa from India and Shona Warren from Australia will get to know this community more closely and see what they can do to help. "One of the things that working with the beneficiaries of Bal Suraksha Abhiyan Trust taught me was that children have more resilience than most people believe or give them credit for and can endure a number of horrific hardships and still maintain a smile and pure enjoyment." "I learnt to appreciate that on the whole people are generally good and want to do what they can to help others. Almost every person I met during our stay was incredibly welcoming and couldn’t do enough to help us be comfortable in their country."